Do You Have A Portable Exhibit Requirement We Can Help With? 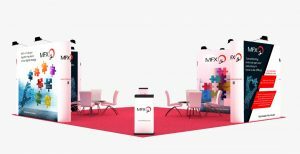 A Customized Portable Exhibit Created for MFX for their Participation at IASA Annual Education Conference & Business Show Exhibition in Orlando Florida USA. 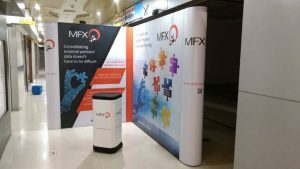 The Structure was Highly Customized made to fit in 36 Square Meter Exhibition Stand with 4 Side Open Placement.